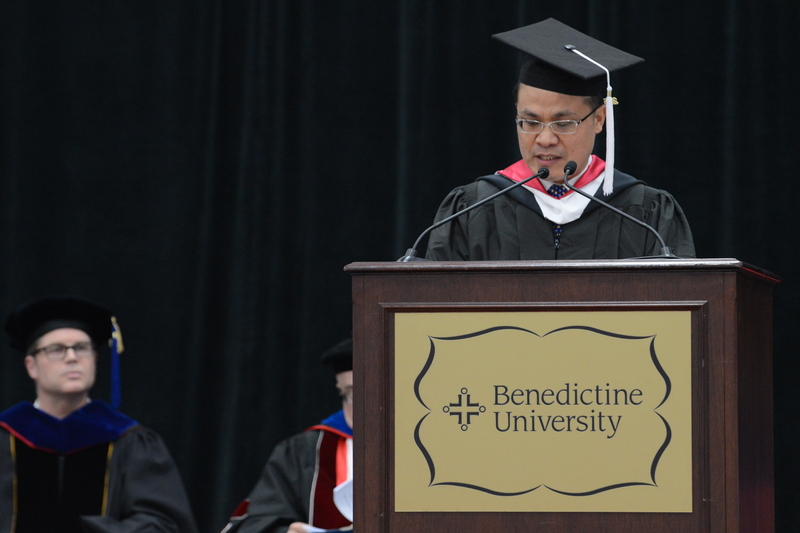 On May 9, Consul General Zhao Weiping attended the Commencement Convocation of Benedictine University and delivered remarks at the invitation of the President of the University. Consul General Zhao extended his warm congratulations to the graduates, parents and the University. He pointed out that it was a special day for him because this year about 100 Chinese students graduated from the joint master-degree programs run together by Benedictine University and its partner universities in China. Consul General Zhao also expressed his appreciation for the productive collaborations between Benedictine University and its partner universities in China over the past ten years.